The album features a wide range of guest artists and writers, expanding and enhancing the work of these young African-American string powerhouses. MCs Pharoahe Monche and Black Thought, singers Melanie Fiona and Kandace Springs, guitarist Eric Krasno (Soulive), pianist Robert Glasper, drummer Daru Jones (Jack White), and string arranger Rob Moose (Bon Iver) all contribute, adding R&B, jazz, and rock elements to the mix and illustrating the genre-busting sensibility behind Black Violin’s music. They developed an act covering hip-hop songs on their violins, which became popular in local clubs. Two years after sending in a tape to Showtime at the Apollo, they were invited to appear on the show —which they won, and kept winning. “After we won the Apollo, which is the hardest audience on the planet, we knew there was something there,” says Kev. “The hard thing was to package it so that people would give us a chance, because we’re doing something that nobody had ever seen. Every time we step on stage, we had to prove it over and over.” They were approached by the manager of Alicia Keys, who asked them to perform with the singer on the Billboard Awards. Other offers followed—they toured with Mike Shinoda of Linkin Park, opened for the Wu-Tang Clan, scored an episode of CSI: New York, and even performed for President Obama at his second inauguration in 2013. Individually and together, Wil and Kev have worked with everyone from Kanye West to Tom Petty, Lupe Fiasco to Aerosmith. 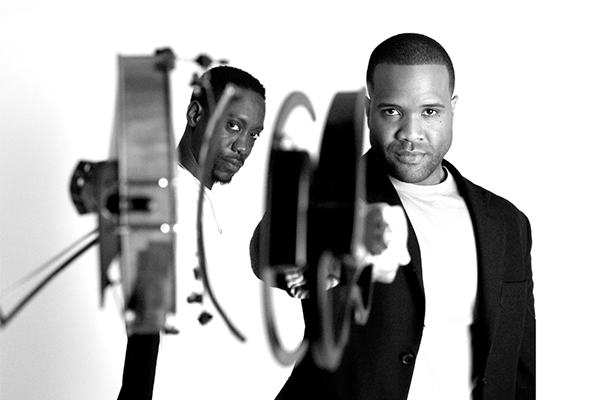 All the while, Black Violin continued touring non-stop (playing as many as 200 shows a year) and released two independent, self-financed albums. Clear” has a swirling groove that recalls such lush R&B as Quincy Jones’s historic creations with Michael Jackson. The head-nodding, virtuosic “Runnin” required a new level of instrumental precision from the musicians; “we really had to practice and learn new things to pull that one off,” says Kev. Even the three covers included on Stereotypes are purposeful, mapping out the possibilities of strings in contemporary music. “Shaker,” from Aaron Copland’s Appalachian Spring, is among the purest of American melodies (“You’ve heard it before, even if you don’t know what it’s called,” says Wil). Burt Bacharach and Hal David’s “Walk On By” was given one of the most epic, dramatic string arrangements of all time in Isaac Hayes’s incomparable 1969 rendition. And “Bittersweet Symphony,” by the Verve (a bonus track on this album) is truly a modern classic; “that song’s been in everyone’s wedding for twenty years,” says Wil.